The following article by Particia Hernandez on Kotaku explores the theory put forth by EpicNameBro that the doll in the Hunter's Dream is actually a Great One, an alien of the cosmos. You can find the full article here. You need insight to see her/use her, just like Amygdala, a Great One. She takes care of you, as if she were a mother, helping you become stronger and stronger—until eventually, you transcend form into a great one (provided you get the ending where you turn into a slug thing). 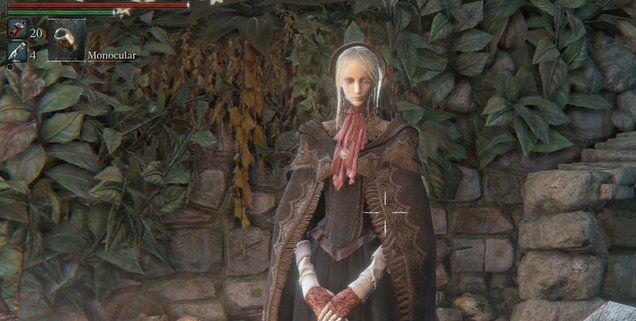 She can control blood echoes, which probably means she’s powerful. When you damage the doll, the blood that spurts out is grey. You know...pale blood. You can find the video where ENB discusses this theory below around 10:49.